Buying a home is one of the biggest personal and financial decisions you will make. Owning a home is one of the traditional American dreams and settling down towns like Alpharetta or Johns Creek, Georgia creates a beautiful background for the portrait of your life. Before you start looking at homes, there are many things to consider. Jeff Aughey, of AlphaHomes.com, specializes in educating and assisting current and future residents of North Fulton County. 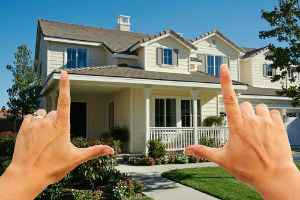 Home buyers and home sellers need easy access to comprehensive real estate information to make the best decisions. Jeff created this site to help answer your questions, provide the resources you need when looking for a new home in the metro Atlanta area, help prevent problems, and help you address problems should they arise. It is Jeff’s goal to help you enjoy the process of finding the perfect home in Johns Creek or Alpharetta, Georgia to meet your needs. Continue reading the E-guide by browsing the links below. See more E-guides here. For extra tips on the buying process, visit the links below. Buying Checklists Are You Ready To Buy A Home?